Head over to Amazon and get Super Mario Memory for just $7.99 (reg. $14.99)! Plus, Super Saver Shipping will be FREE with an order of $35 or more or get FREE 2-day shipping with Amazon Prime. Power-Up the World’s most popular matching game – MEMORY! 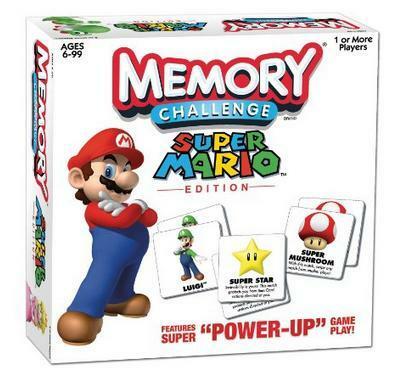 Challenge yourself to the classic game of Memory with a Super MarioTM twist. Turn over cards and find their match. Pick up an Item Card to add more fun and challenge. The player with the most matches wins!